Write only enough production code to pass a failing test. The Second Law keeps test code minimal. We write tests that contain no more than they need. If you haven’t seen the Three Laws in action, watch my 10-minute demonstration. How long should a unit test be? The ideal for which I strive is: three lines. Arrange, Act, Assert. The 3 A’s. In practice, I separate those three sections with blank lines. This allows a little wiggle room for each section to grow slightly. But when any single section grows past three lines, I get an uncomfortable feeling. That is, if I have more than three lines in the Arrange, Act or Assert sections, I pay close attention. I’m getting feedback on how testable the code is. Can I simplify the design of the System Under Test? Is it time to refactor the test? But doesn’t test refactoring break the rules? The rule of refactoring is to start from green (tests passing) and end in green. But your science mind is churning. How do I know I the refactored test code still fails when it should? It seems too easy to weaken a test by mistake. For example, let’s say I delete an assertion. The test still passes! Isn’t this a recipe for failure? The thing to understand is that almost all the time, refactoring tests is nothing more than Extract Method. And the method you extract is short — just a few lines. Nobody starts doing stupid things just for the sake of breaking TDD. There’s a simple way to test the tests: Deliberately break something in production code. There are various ways to do this. Change a conditional to always true. Change a conditional to always false. Add a break statement to the beginning of a loop, so it never runs. Add a break statement to the end of a loop, so it runs only once. Which should you choose? The one you have bad feelings about. A test is missing, or broken. When in doubt about test code, deliberately break something in production code. Practicing TDD, writing short tests, keeping test code squeaky-clean… These things can help you move faster. 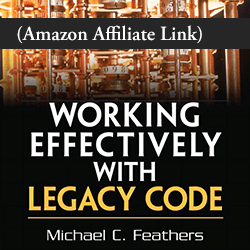 Your increased confidence in the test code will help you refactor quickly and boldly. 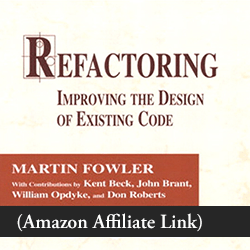 Skillful refactoring will gradually make your code easier to read, maintain, and extend. When in doubt, break something and confirm whether your tests protect you. But… what if the test code you need just isn’t simple? What if a test is too intricate? What if a test contains conditionals or loops? That’s when we need to write assertion test helpers, either in Objective-C or in Swift. How confident are you in your current unit test suite? How will you increase that confidence? Leave a comment below.